The was the first draft of proposed floor plans for the East Street Mews project. 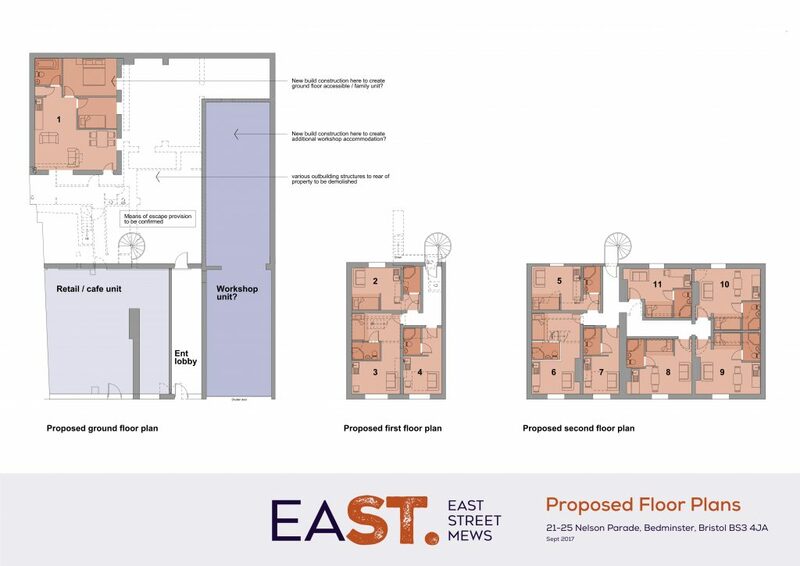 The image shows initial layout ideas for the three floors which will make up East Street Mews. The plans detail the 11 studios and apartments as well as the workshop and retail space on the ground floor. Please note that these plans are a draft version and likely to change significantly.